Just gettin' it ready. Love this time of year! Which foals is everyone looking forward to the most from the various matings? Well since I will be interning at Dixiana this breeding season, I can't wait for Gigahertz to foal out her foal by Union Rags. Summer Bird wrote: Well since I will be interning at Dixiana this breeding season, I can't wait for Gigahertz to foal out her foal by Union Rags. How exciting is that?!? Hope that this foal is a good one. Pretty soon, will be suffering from lack of sleep watching on the Winstar cams. Cant wait to see some of my favorite mares and all the new babies! My absolute favourite farm to follow on Facebook is Country Life Farm. 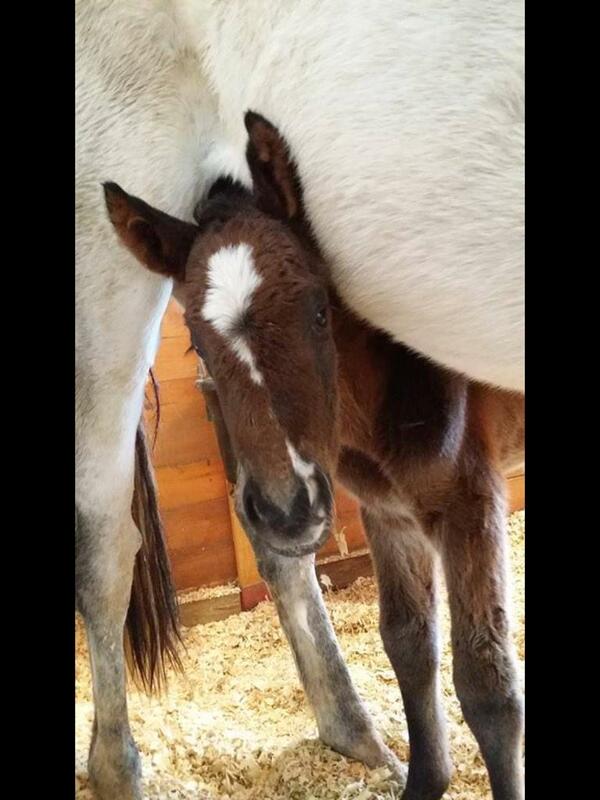 They post videos and tons of photos of their new foals, and progress reports through the year. And, you can tell the staff really love their jobs and working with the horses. But seriously. Waaaaaaaaaant baby pics. Come on foals! Ioya Two wrote: Out of, not by. Yayyyy! And awwwwwww. Great photo to start the season. First posted adorableness of the year! Such a perfect photo of total cuteness. Welcome to the world little baby. May you always find humans who treat you with nothing but kindness, gentleness, respect and love. 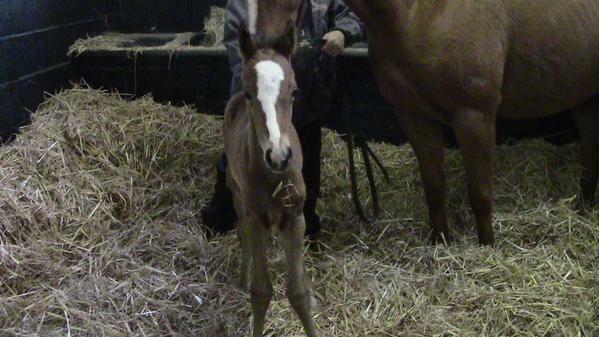 First foal for Declaration of War!